Perfect blend of minimalism and modernism. 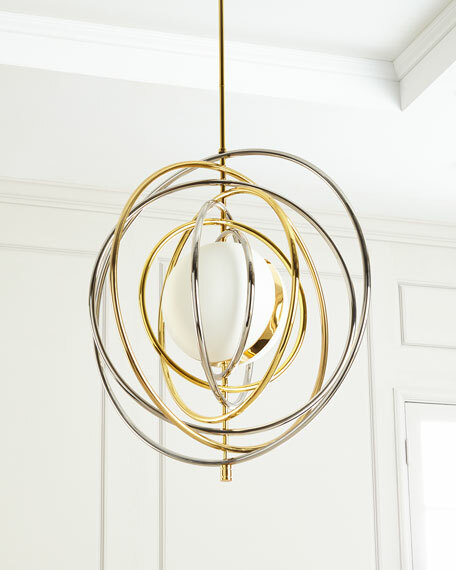 A glowing orb surrounded by Space Age-inspired rings of polished brass and nickel. Movable rings offer endless versatility. Our Electrum Kinetic Chandelier looks groovy in a breakfast nook, brings a gravitational pull to the dining room, or adds a touch of extraterrestrial to an entryway. Chandelier with alternating polished brass and polished nickel rings. 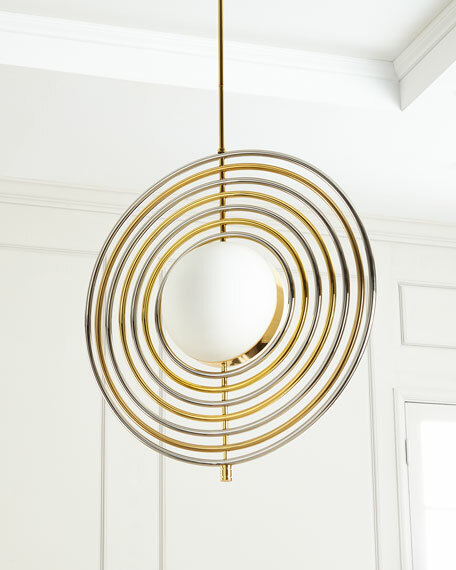 White milk glass shade with brass banding. Weight, 22 lbs. Boxed weight, approximately 28 lbs.